Select Clusters > Cluster name > Activities > YARN service name Applications. The YARN jobs run during the last day are listed in the Applications list. A running job displays under the start timestamp. To kill a running job, select Actions > Kill. Only an administrator can kill jobs and killing a job creates an audit event. When you kill a job replaces the label. Once the page is refreshed, the entry is removed from the list. To view a completed job in the JobHistory server, select Actions > View on JobHistory Server. To display all the jobs run by the same user, select Actions > User's YARN applications. Attribute - the query language name of the attribute. Operator - the type of comparison between the attribute and the attribute value. Cloudera Manager supports the standard comparator operators: =, !=, >, <, >=, <=, and RLIKE, which does regular expression matching as specified in the Java Pattern class documentation. Numeric values can be compared with all operators. String values can be compared with =, !=, and RLIKE. Boolean values can be compare with = and !=. You create compound filter expressions using the AND and OR operators. When more than one operator is used in an expression, AND is evaluated first, then OR. To change the order of evaluation, surround subexpressions with parentheses. 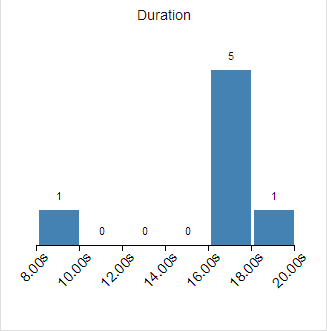 Optionally, click the Select Attributes link to display a dialog where you can chose which attributes to display in histograms. Check the checkbox next to one or more attributes, and click Close. Click the Enhance Filter link. 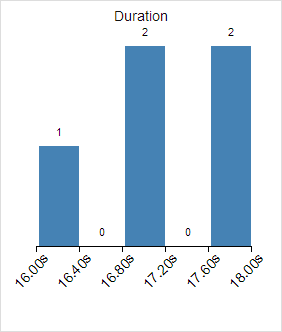 Histograms of the selected attributes display with the number of results that match each value of the selected attributes. where <x> is query or application. 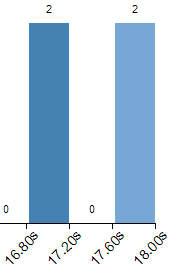 If you click the same histogram bar again, the color reverts to the darker blue and the filter is removed from the text box. Start typing or press Spacebar in the text box. As you type, filter attributes matching the letter you type display. If you press Spacebar, standard filter attributes display. These suggestions are part of typeahead, which helps build valid queries. For information about the attribute name and supported values for each field, hover over the field in an existing query. Put the cursor on the text box and press Enter or click Search. The list displays the results that match the specified filter. If the histograms are showing, they are redrawn to show only the values for the selected filter. The filter is added to the Recently Run list. The 0-20.00s bucket has 7 results, but with the current distribution we cannot discriminate between the results in that bucket. Commonly-used filter attributes, their names as they are displayed in Cloudera Manager, their types, and descriptions, are enumerated below. 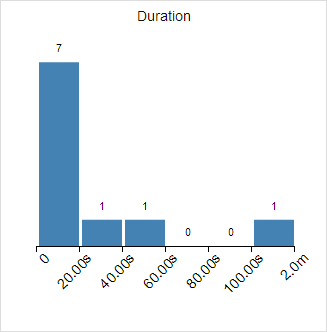 application_duration Duration integer (milliseconds) How long YARN took to execute this application. application_id Application ID string The ID of the YARN application. cpu_time Total CPU Time integer (milliseconds) The total amount of CPU time used by the tasks for this YARN application. disk_input_bytes Disk Input Bytes integer (bytes) The number of bytes read from local files by this YARN application. disk_output_bytes Disk Output Bytes integer (bytes) The number of bytes written to local files by this YARN application. mapper_class Map Class string The class used by the map tasks in this YARN application. name Name string Name of the YARN application. pool Pool string The name of the pool that this application was submitted to. Within YARN a pool is referred to as a queue. reducer_class Reduce Class string The class used by the reduce tasks in this YARN application. service_name Service Name string The name of the YARN service. shuffle_bytes Shuffle Bytes integer (bytes) The number of bytes fetched from mappers over HTTP during the reduce phase. state Application State string The state of this YARN application. This reflects the ResourceManager state while the application is executing and the Job History Server state after the application has completed. user User string The user who ran the YARN application.